Throughout the 1920s, the issue of women's suffrage was hotly debated in Japan, and women came close to receiving the right to vote. 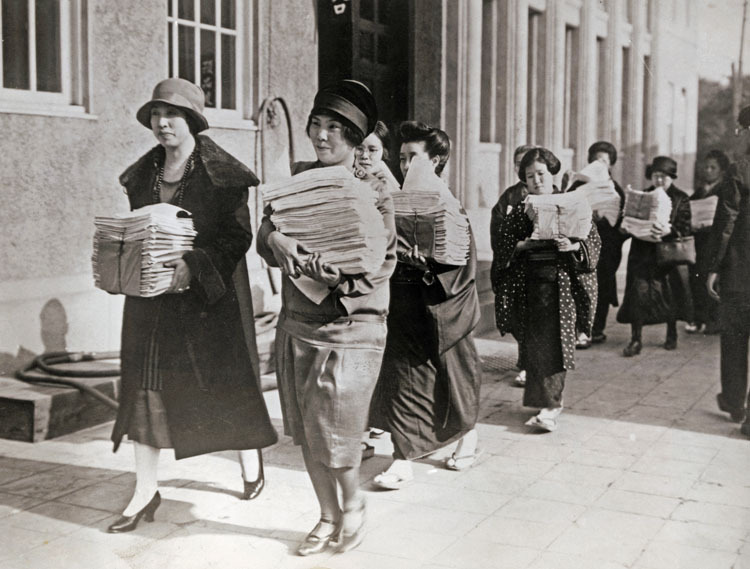 This particular photograph, from the 1920s, shows members of the Japanese Women's Suffrage League carrying 20,000 petitions to the imperial Diet requesting the consideration of a women's suffrage bill. Despite near success, women in Japan did not receive the right to vote until after the end of World War II.